I plan on purchasing all Super Heroes Juniors for the minifigs. That's AWESOME! I didn't know about this yet. I'd DEFINITELY buy that Batman set! Your getting 3 major characters right there. Hopefully the Junior angle makes them more affordable. One of my kids got the juniorised fire engine a while back. I think this type of set works very well. It gives them the confidence of being able to build the whole set by themself. As to SH versions, i doubt anyone will buy it for the build. But for the minifigs as noted above. Are these going to be standard-sized LEGO bricks, or will they be somewhere between a Duplo and a Lego? They are standard bricks, just easy builds. As ^, the parts are just highly simplified large parts. So instead of putting 10-15 parts together to make a car or truck base, it is one molded part. These sets are certainly great for collecting minifigs. And parts like this for the walls. Quick and simple to build for little fingers. I saw the juniors set #10672 at my local walmart yesterday. It retailed for just about 30 bucks. I didn't get it but I did purchase the star wars clone turbo tank micro fighters set. Those were the only two new sets that I saw out there. ^I avoid the old early 2000's 4-Juniors sets like the plague; lots of big combined parts and not a lot of useful parts. But as everyone says, they are designed for younger kids and not AFOLs, so they have their niche I guess. If they are releasing licensed figures that AFOLs will clamor over, then these new sets ought to sell very well indeed. I bought the small spiderman set for my 5 yr old. He built it on his own rather quickly. I think they are good for the target audience. The price per piece appears pretty poor on many of the sets. 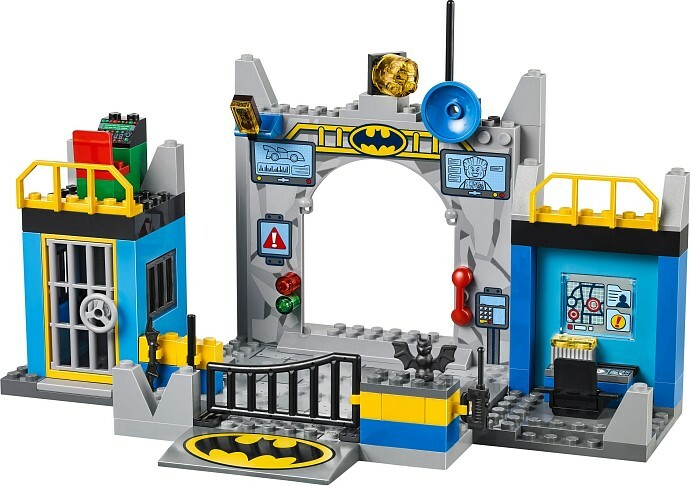 Something about the build and colors of that Batman set reminds me of the Adam West show - definite buy for me. These sets have some huge molds (great for small children, not so great for AFOLs), and there seem to be no stickers -- and instead, lots of printed pieces (which of course is maddening to us AFOLs). ^It's going to sell like crazy! Nice set, but a bit pricey here in the UK (at £30GBP). For 3 figs and a handful of bricks, it could do with at least a third off before it really enters value-for-money fly-off-the-shelves range (in my opinion). But it is a set I plan on watching, for that moment. I picked up # 10672 Defend the Batcave and #10674. They seem priced pretty high but with the BOGO50% at TRU they were worth checking out. The sets have some awsome pieces that I have never seen before. Big building plates and huge wall pieces. When I first looked at them I was worried that the stickers were going to be a pain but I was suprised to find out that all of the pieces were printed....no stickers. With the sets made for juniors it easy to see why there woulod be no stickers. The printing is as intricate as I have ever seen on any LEGO piece. I can see these sets being really popular with MOCer's. So guys , here i was contemplating trying to convince myself about half a dozen sets i was on the fence about . One of them was yet another half baked lab for Hulk to smash , just so i can get Mr. Purple pants and maybe the extras , Thor etc . I also thought hard if i should drop more Lego cash on the endearing but Junior "Defend Bat cave" set . The colors are just so vintage batman ..
i looked hard and this is the "for " argument i came up with : ADD HULK LAB TO BAT CAVE = WIN WIN ! I think it will work well for me, get all the wanted mini figs + get an all new vintage bat cave . What do you fine fellas think ? Are they new minifigs, or are they repeats. I was looking at a joker and I couldn't remember what the old joker from last year sets looked like. The batman is a much lighter blue. He looks like the Adam West Batman to me. The Robin has green legs. I don't remember getting green legs with him before. I'm not sure about Joker. The brickshow review talks about all of this. The batman and Robin are new and cool. The joker is the same. ^what @byucougs said..
@vortex: I like that idea combine the two sets and get a lot bigger Batcave. My son has been playing with the one we built last night every minute he's been awake since then. I was actually thinking of getting a 2nd one to expand the entrance so there is more room for the bat-mobile and another jail cell so put another meany in, and adding another computer terminal too, but now will probably go with your idea for expanding the #10672. Kudos to TLG for this and the other Jr. sets. 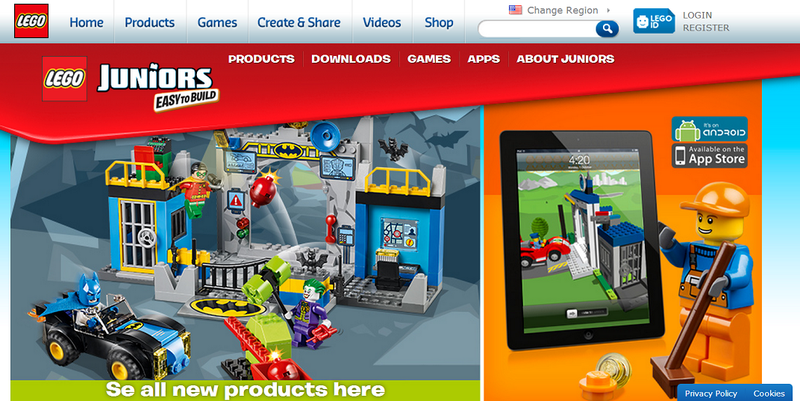 Check out this embarrassing spelling mistake on Lego Juniors website. I bought my 6 year old the Spiderman set. He built it in 3 minutes. Not much of a challenge. 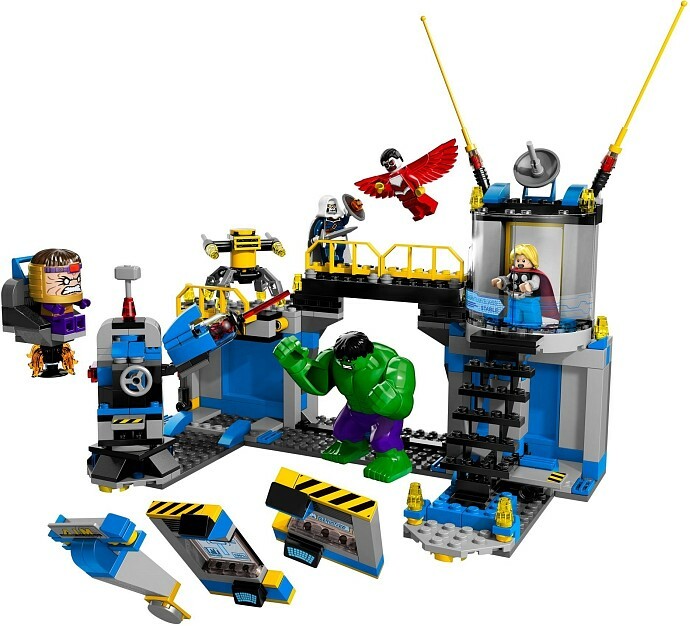 I think these sets are great for 4-5 year olds that don't play with Duplo but are a little too young for big sets with lots of little pieces. Would these juniors count towards the SH theme? I am collecting SH MFs but and trying to restrict myself so I dont try and go back to collect all past SH from batman 1 and Spiderman. ^ On that note, I've noticed on the Brickset database that the minifigs in these sets are not listed as minifigs, rather the head, torso, legs etc. are entered as individual pieces in the set's inventory. The parts list shows that the joker and venom are the same from the SH sets, and Spiderman is only different because of red hips. ^ Venom is missing the circular vine parts at his back so they are not exactly the same figure. @JeffH‌ I was thinking, if he is just missing a part then its technically the same minus the accessory? ^I feel the same about Venom, same fig. But torn on whether the red hips on Spidey makes him unique and needed, but I'm leaning towards 'no'. In reality, sw194 uses visor and sw314 uses range finder on the helmet and that is the only difference. All of those accessories are in the same sealed accessory package and present in both sets. Yet because the manuals call for different arrangement and thus makes them different figures. Ahh got ya. I was debating on adding the 10665 venom to my collection. I caved in and got it.